Probably not as a big public asset drop, but maybe in the future if someone is working on a similar mod I could definitely share them. Wow I just found this mod and I really hope it continues! 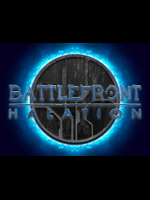 I'm a long time Halo veteran and am learning how to mod BF2, let me know if I can help in any way!